Susan Louise (Wike) Shober, daughter of Harry J & Irene M (Johnston) Wike, was born on January 8th, 1953 in Ephrata, Pennsylvania. She was a graduate of Cocalico High School. She spent 35+ years as a Hatter employed by Bollman Hat Company. She enjoyed the company of her many friends and family members. Her beautiful life will forever be cherished in the lives of her children: Daughter Randi Shober & her lifelong companion David Zerbe, Son Jesse & Nicole (Malicki) Sweigart. Her Grandchildren Emmy, Mark, Reagan, and Leo. A Great Grandchild arriving soon – Axel. Her Siblings: Kenneth Wike, Sara & John Cogley, and Dennis & Bonnie (Specht) Wike. A host of devoted nephews, nieces, cousins, and friends. She was preceded in death by her father, Harry “Jack”, her mother Irene, and her longtime companion Alton “Jerry” Sweigart. I want to say thank you to a woman that has meant the world to me and my family for over 30 years of my life. She graciously opened her home, heart and love and years of wisdom to everyone she knew. Thank you Susie for years of laughter and love and being the second mother that I needed. Sincere condolences! 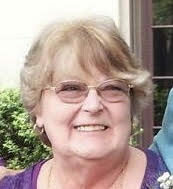 Susie was a fun person with a hearty laugh!